Homeopathy was founded by Samuel Hahnemann in the late 18th century and from that time it emerged slowly and steadily. Homeopathic treatment is long trusted by individuals and even to this day, people are looking forward to it. The two main reasons behind the preference of homeopathic treatment is its effectiveness and minimised side effects or almost zero side effects. Now, if you are in Vadodara and searching for the best homeopathic doctors, then Dr. Mahavrat Patel is the one you are searching for. Not only in Vadodara, Dr. Mahavrat Patel is one of the best homeopathic doctors in India as well. 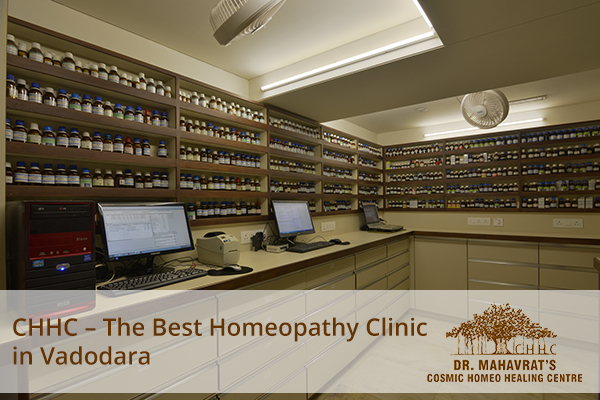 People from all around the country comes to Dr. Mahavrat Patel’s Homeopathic Clinic in Vadodara for getting the most efficient and effective homeopathic treatment. Dr. Mahavrat Patel is a veteran and renowned homeopathic treatment who is quite famous for his valuable contributions to the homeopathy. He is an expert in the treatment of various types diseases and his several years of clinical practice have cured a number of patients in Vadodara as well as the whole country. 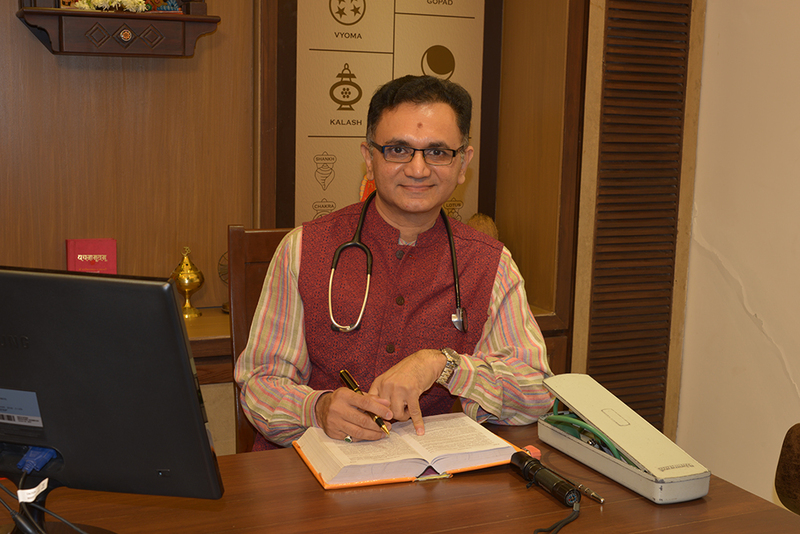 Therefore, Dr. Mahavrat Patel is considered to be one of the leading homeopaths in the country. Dr. Patel has consistently tried his level best come up with the some of the unique and innovative concepts and ideas about homeopathy and homeopathic treatment to make sure that premium quality treatment is offered at his homeopathic clinic. In Dr. Mahavrat Patel’s Homeopathic Clinic, there are a number of success stories of different patients in Vadodara and in the whole country irrespective of their age. The quality treatment, its high effectivity and cost effective treatment are the major factors that has made the homeopathic clinic of Dr. Mahavrat Patel one of the most recognised as well as the most reputable clinics in the country. There are many age old medical practices that heals people from within following a holistic approach. These gentle way of curing people have lasting effects on their health. Cosmic Homeo Healing Centre, located in Vadodara offers a range of services. Have a look on some of the services available at the centre. Homeopathy – Homeopathy offers permanent and profound healing. Unless it has been prescribed incorrectly, it does not palliate and ensures deep healing. The healing process may be long and drawn out, but it offers desired outcomes. Holistic Healing- As the name suggests, this approach brings about a cure from a variety of ailments from within. Practitioners bring about a balance between body, mind and soul to impart a healing touch. Other services available include Acupressure, Ayurveda, Kundalini, Dowsing, Reiki, Naturopathy, Aura Imaging and more. Aesthetics – As part of these services, an eclectic blend of homeopathy and finesse of aesthetics have been used to bring about aesthetic and cosmetic improvements in a person. Again, a holistic approach is used to bring about best results. Some of the treatment options available are Cryolipolysis, Q-switch nd: yag laser, Microderm abrasion, Skin peels, Diode laser and more. Beauty Services- Every person wishes to look beautiful and attractive. At Cosmic Homeo Healing Center, ancient holistic treatment options are used to help a person enjoy youthful and smooth complexioned skin. People can undergo deep cleansing, a variety of facials, hair spa and a lot more. They can choose facials as per their skin tone and other requirements. Medispa- At Medispa, one can enjoy services like full body spa and an invigorating massage. A range of facial options are available like Swedish massage, Balinese Massage, Deep tissue massage, lomi lomi massage, Abhyanga and more. These facials bring immense relief and relaxation to a tired soul and body. Besides above mentioned services, Cosmic Homeo Healing Centre also provides services like hair fall treatment, heel pain treatment and weight loss management packages. Using these treatment options, a person can enjoy a healthy and fit body.